Animal health entrepreneur Don McLaren was awarded an honorary doctorate at Massey University’s Manawatū graduation ceremony today. Dr McLaren started the animal remedy company Bomac Laboratories in 1958. It went on to hold 154 patents, 55 inventions and register 360 products in New Zealand and 180 in Australia, with many more in the pipeline. The company was sold to Bayer International in 2010. Dr McLaren is a member of the National Business Review Hall of Fame and an Officer of the New Zealand Order of Merit (ONZM) for services to the animal remedy industry and horse racing. He owns Northfields Stud near Karaka and is patron of the New Zealand Thoroughbred Racing Hall of Fame and a past chairman of the Auckland Racing Club. Dr McLaren has worked closely with many Massey University staff on the research and development of Bomac’s veterinary products. He says the veterinary profession has grown immensely over the past few decades. Institute of Veterinary, Animal and Biomedical Sciences head Professor Frazer Allan says the award is well deserved. 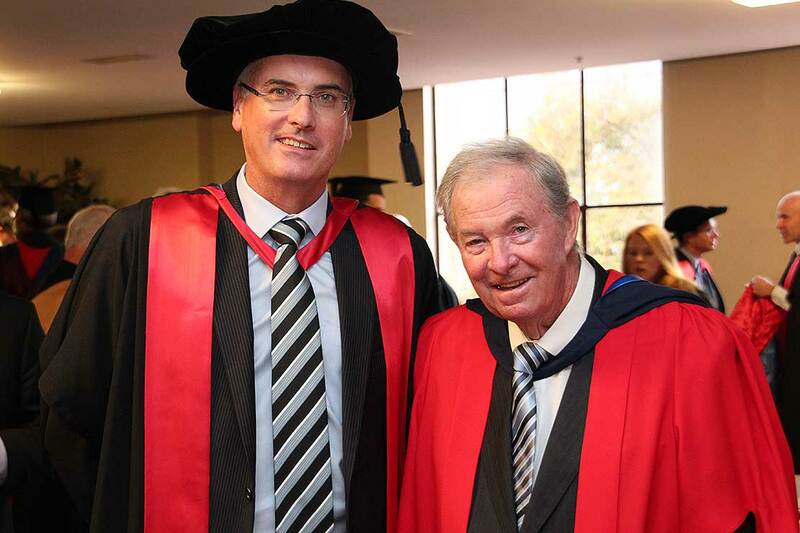 “Don McLaren’s story is one of immense personal success made all the richer by his dedication and passionate support for research and education in the wider community over the years,” Professor Allan says.